Liz Dowdell has been working in education since 2005. Her education career began at community centers in Erie, Pennsylvania where she provided after school enrichment to youth of all ages. 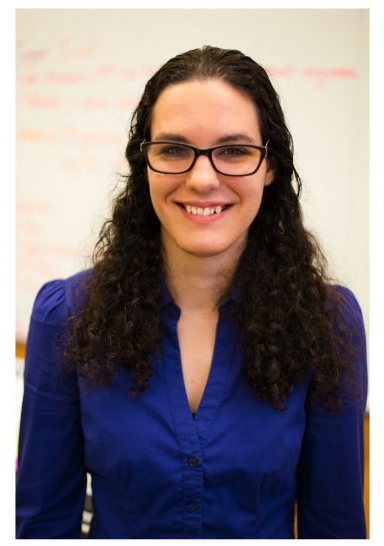 In 2009, Liz became a classroom teacher through the New York City Teaching Fellows. Before coming to UA Maker, she taught Physics and Mathematics for 5 years at Frederick Douglass Academy VII (FDA VII) in Brownsville, Brooklyn. While teaching at FDA VII, Liz was also an instructional lead teacher and technology coordinator who lead initiatives to increase the use of instructional technology and promote a mastery-based grading system. As a science teacher, Liz strongly believes that students should learn science by engaging in scientific inquiry and investigating real-world applications. Liz completed a Bachelor of Science in Physics and a Bachelor of Arts in Mathematics at Rowan University in New Jersey, and a Master of Arts in Teaching at Pace University. She lives in Brooklyn, and enjoys hiking and exploring nature whenever she can.